It was easy in, easy out, and over in an hour. Today's Windows 7 launch in New York went off without a hitch--or a software crash--but without the hoopla that has heralded new versions of the Windows operating since Windows 95 debuted in 1995 to the tune of the Rolling Stones' "Start Me Up." Missing were the surprise celebrity appearances, the lavish accoutrements, and, most notably, Bill Gates, who no longer runs the day to day workings at Microsoft. 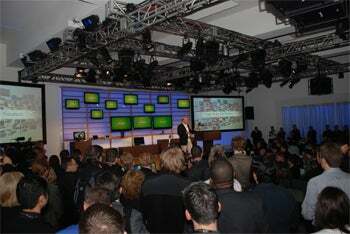 Instead of the huge Nokia Theater in Times Square, which housed the 2007 launch of Windows Vista, the Windows 7 press event was set in the much smaller confines of Skylight Studios, a popular event space near the entrance to the Holland Tunnel. While the space was adequate for the presentation, some members of the press groused about the scarcity of seats and the small tables, which were better suited for netbooks than full-size notebooks. However, unlike the cold weather and the turtle-like pace of the queue at the January 2007 Windows Vista launch, entering Skylight Studios was quick and painless-as long as you were on the official invite list. 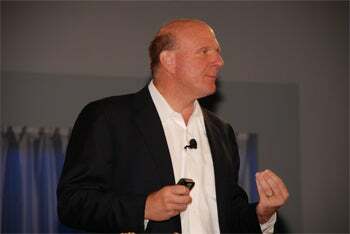 Once the press was assembled inside, Steve Ballmer, Microsoft's always-energetic CEO, did his best to invigorate the media with his high hopes for Windows 7. However the best-received lines were delivered by 5 -and-a-half year old Kylie, who was the star of a Microsoft TV commercial when she was four. She had the task of introducing Ballmer. 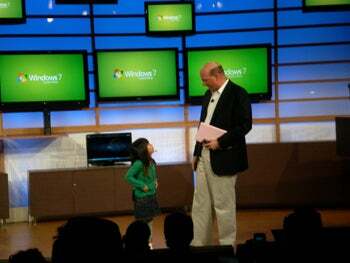 "I'm a PC," said Kylie to a roomful of wide smiles, "and here's Steve Ballmer!" Ballmer had barely gotten out a few kind words about the fun he had meeting Kylie earlier in the day when Kylie suddenly chimed in with an almost indignant "You were late!" "We're trying to make the everyday usage of the PC better," Ballmer said once the laughter died down. "Number one: It works the way you want it to work.... The things that you need to do all the time need to be simpler." Brad Brooks, vice president of the Windows 7 marketing group, demonstrated a number of features that separated Windows 7 from its predecessors, including the easier networking wizards, the support for multi-touch features on touchscreens, remote streaming of media stored on a distant Windows 7 machine, and the new Windows Live Movie Maker. A demonstration in which a single PC streamed video feeds to seven different monitors on stage without bogging down was well received. A nice aspect of the event was the way in which Ballmer waded into the audience--something that didn't happen in larger venues in the past when Gates did the presentation. 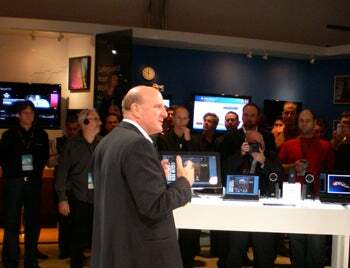 Toward the end of the event Ballmer was shown a number or new Windows 7-based products not from on stage, but from a demonstration area where attendees could get up close and personal. 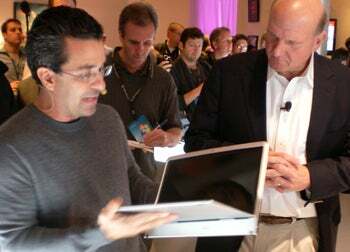 A brief appearance was made by Dell's upcoming super-thin Adamo notebook, which Ballmer got a quick look at before it was whisked away back into hiding as it awaits its official launch. The tone of the launch event seem to reflect an effort not to overhype Windows 7 but to let it float or sink on its own merits, which will of course be decided in the next few months as consumers get their hands on the software and as IT representatives who shunned Windows Vista try to figure out whether an upgrade from Windows XP is necessary.